Some obstructive sleep apnea sufferers are looking for a non-invasive (non-surgical) solution to control their sleep apnea symptoms and heavy snoring. Often, they are told to use CPAP (continuous positive airway pressure, also known as the “sleep mask” or “sleep machine”). But not everyone who needs treatment for sleep apnea can tolerate CPAP, or is willing to strap a mask to their head in order to get a good night’s sleep. There is another solution. An oral appliance, known as a mandibular advancement device, can sometimes help. It is a device that you put in your mouth before going to sleep, and you wear it all night long, like a retainer. 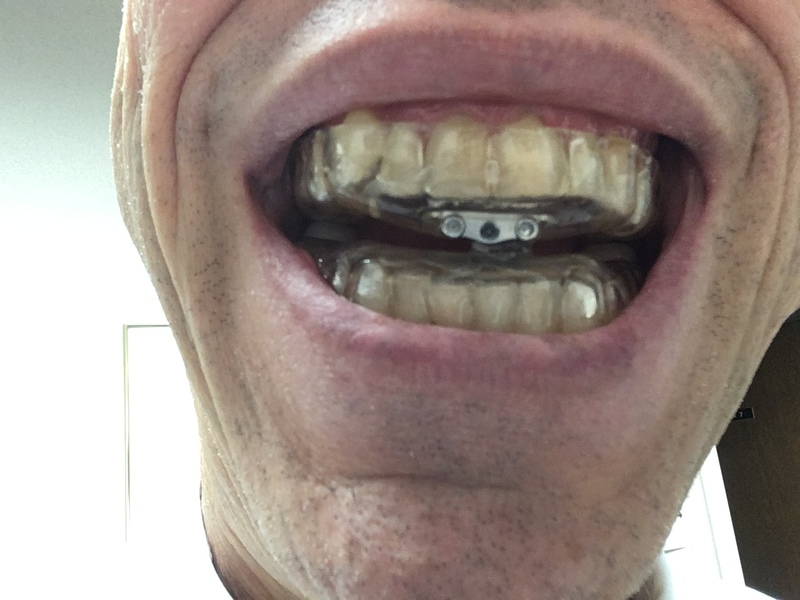 It is custom-molded to fit on your upper and lower teeth, with an adjustable connector between the two parts. 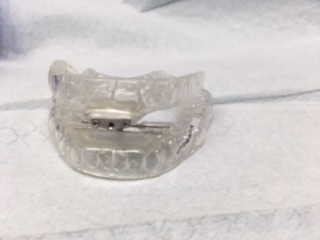 You can fine-tune the setting of the device until your snoring and sleep apnea reduces to an acceptable level. 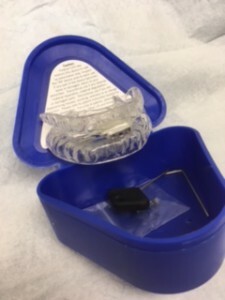 Dr. Spingarn at Westchester ENT is now making these devices for sleep apnea sufferers. After an appropriate diagnostic evaluation and testing, Dr. Spingarn will let you know if you are a good candidate for a mandibular advancement device. If so, he will take impressions of your teeth, which will be sent to a special laboratory where the device is created, and then you will come back to the office to receive your device. In many cases, your health insurance coverage will pay for your treatment. In order to use a mandibular advancement device, you should have most of your teeth and they should be in good shape, with no dental decay or active dental problems. You also should have no history of jaw pain or the jaw-joint disorder known as temporomandibular dysfunction (often abbreviated as TMJ pain or TMD).